So British Gas have just launched their HiveHome kit that enables you to switch your heating on & off. Our customers have been doing this for a few months and it’s about 75% cheaper than Hive (plus you don’t have to wait 6 weeks for installation). 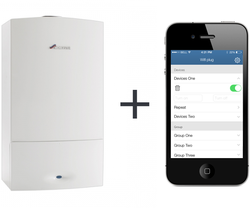 Check out our ‘how to’ guide next week and you can take advantage of controlling your heater boiler from your smartphone from anywhere in the World! The wait is over! 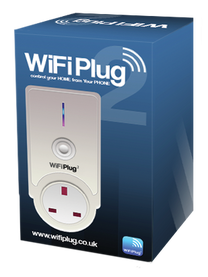 WiFi Plug has finally arrived! All pre orders will be shipped out within 24 hours. Thanks for being so patient. The set up is so simple, just download the app and sync your new plug! They say you are only as good as your last review..
That’s why we are showing you 10 of them! 10 Happy customers from our eBay site, which has 100% Positive Feedback ranking. If you want to give us some feedback (good or bad) just head here. For those of you who don’t want to void your warranty, we have saved you the time. Here is the inside of a WiFi Plug. As you can see it has an Antenna for extra long Range (upto 90M) – This is why it is rectangle in shape. 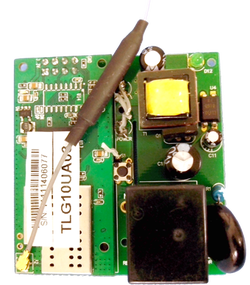 The WiFi Receiver and Power switch are the 2 blocks along with a range of sensors, silicon diodes and solders – basic you may think but over 6 months to develop! Enjoy – if you’re a Techie like us! Last month, over 600 Appliances EVERY DAY were switched ON & OFF via the WiFi Plug making a total of 18,642 unique clicks recorded on our server. We are very pleased with our 1st wave of results and are looking forward to monitoring the growth over the coming months.